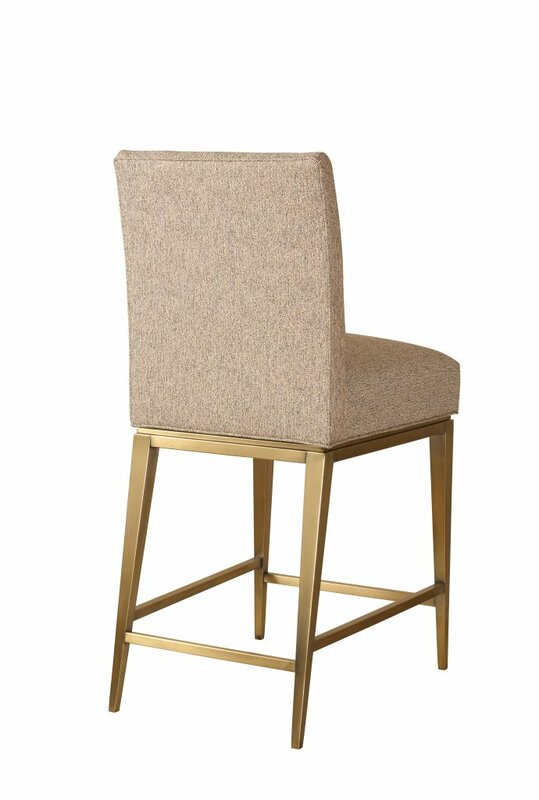 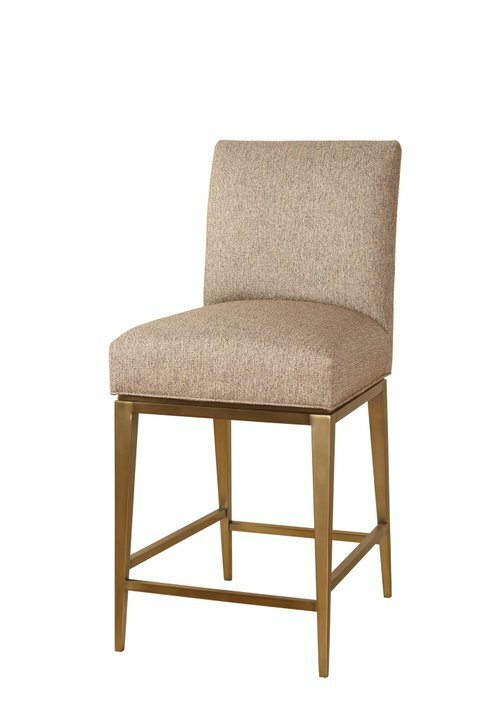 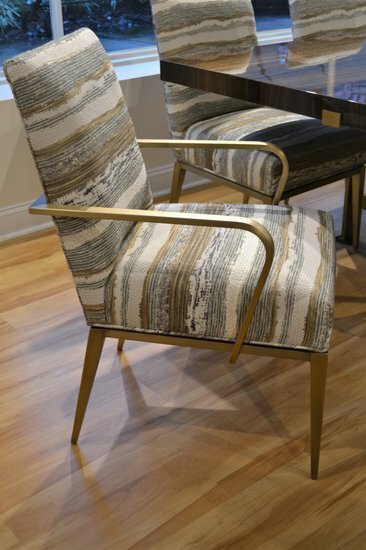 The Barnwell stool has the same features as the Barnwell chair having a simple, tailored upholstered seat that attaches to the metal base by the memory swivel. The base recesses underneath the seat part giving the illusion the seat is floating over the base. The metal base is well scaled having long tapered legs and delicate stretchers that are finished in a beautiful, plated Antique Bronze finish.